Following the events of Batman R.I.P. and Final Crisis, Batman is still missing in action. As our caped crusader has failed to return after his disappearance, Gotham is left to defend itself as people are all asking the same question -where is Batman? Batman: The Return of Bruce Wayne lets us experience Batman in a number of fun and exciting different environments. 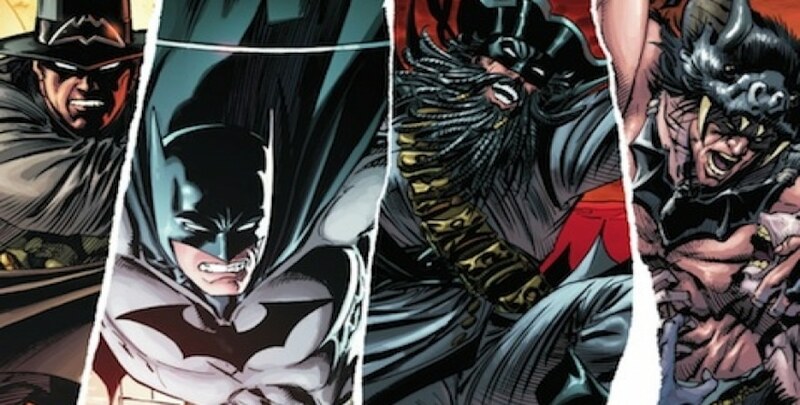 With a fun cast of some of our favorite superheroes, there is a lot to look forward to in this Batman Installment brought to us by none other than the renown comic book author Grant Morrison. The artwork of this comic was amazing. With all of the changing between eras, there was a LOT of different atmospheres that needed to be captured throughout the book. I think the artists behind Batman: The Return of Bruce Wayne did a great job at doing this. From the rough and tough style of the pirate days along with Blackbeard all the way into Puritan times during the witch trials, the look of the comic was phenomenal. I especially liked seeing how the image of Batman and his entire persona changed within eras. Each issue and era has its own form of art which genuinely reflects each storyline perfectly. The story was not just well illustrated, the plot was also amazing. Even reading the previous installments, the opening may have been a bit confusing. Bruce has forgotten who he is and finds himself at the dawn of human history surrounded by Neanderthals -and he not welcome by everyone. Although Bruce has lost his memories, he does contain several useful items from the future -including his utility belt. The storyline progresses pretty swiftly as he is sent barreling into the future right when his prehistoric storyline begins to pick up. Although it is a little unfortunate that this fast pace takes out the possibility to further develop more in-depth storylines, I really like the fast pace that this comic takes on. It offers you a lot of cool storylines without of any sense of overkill. Batman is not the only DC hero that graces his presence in Batman: The Return of Bruce Wayne. Right in the first issue, we get to see the team of Superman, Doctor Hunter, and the Green Lantern who is traveling between times in order to find him. The team manages to get there just when he leaves, which at you may be inclined to worry that Bruce had just narrowly escaped being saved. Superman’s words say otherwise as he insinuates that they want Batman dead. Considering how dark Batman comics tend to be, this really got me thinking about what exactly this all meant. More specifically, whose side should we even be rooting for? What’s going on? As he travels from timeline to timeline nearly escaping death each time before pummeled into the next, they find that they are always just one step behind him. As it becomes more and more cleat that these are the real justice league members hunting down Bruce, it just leaves you more puzzled with what is going on. As you watch Bruce slowly approach the 21st century, you are left at the edge of your seat wondering what exactly Superman means by everyone is going to die. Without giving away too many spoilers, we get to see a LOT of amazing settings. In addition to the stone age, Puritan witch trials, and pirating days, we also get to see him in other time eras and Vanishing Point. The further the issues go on, the larger the stakes. By the end of the story we do get to see a lot of other cool characters (even for just a moment) including Starfire, Wonderwoman, Cyborg, and Red Robin. With Batman pushed to the absolute limits, I found myself on edge flipping through the pages just wondering how things were going to develop. 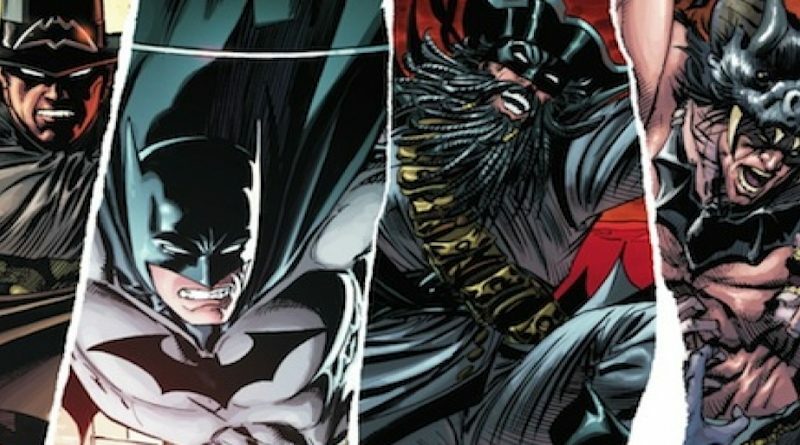 It is not too often that we get to see Batman completely unhinged, and for another rare moment, he is going to need the help of his friends. Of course, it wouldn’t be a Batman finale without the flashbacks of his parent’s death and his journey into his vigilante lifestyle. 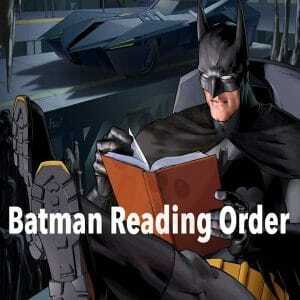 It also brought us a great quote that really sums up Batman’s dedication to justice and his cause. Overall, these final moments were easily some of the more action-packed scenes of the whole story. Especially considering how abruptly we watched him being pulled from one era to another without any closure, I really appreciated this part of the installment. I also like that Morrison took the time to reflect back on the different ways that Batman impacted the eras he visited. Although one of Batman’s things is that he doesn’t have any superpowers, this comic perfectly depicted how the image of Batman is so much more -even god-like as it had been pointed out pretty directly when he was in the stone age. I have to give Batman: The Return of Bruce Wayne a 4.5/5. I really enjoyed everything about this installment. From the amazing art all the way into its amazing plot. Seeing how Batman adapted to the various, harsh environments was not only entertaining, but reminded me of the very reason that I loved Batman so much! Even the ending was very satisfying and fitting. Bringing all the loose ends together in a way that didn’t drag on too long or throw everything back together so fast. Although I believe this is much more enjoyable for a veteran Batman reader, this title can be enjoyed by any superhero fan!